The "D" Litter has arrived!! 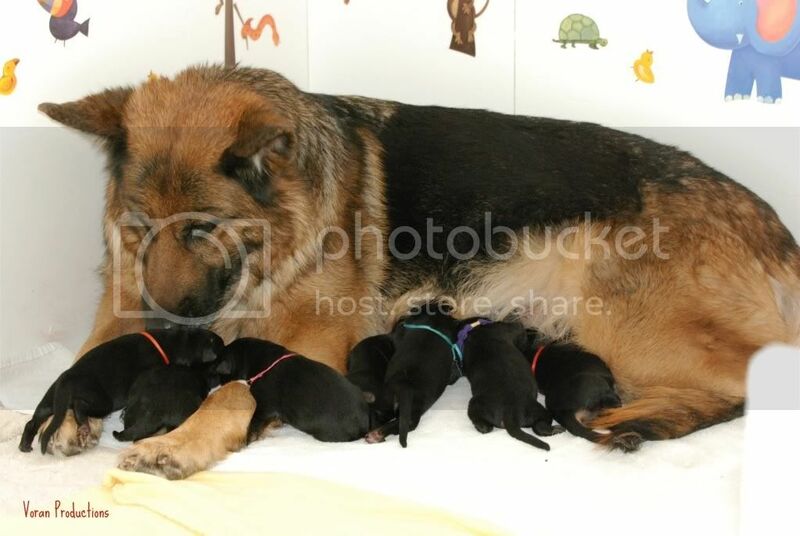 Haus Mansfield is pleased to announce, the arrival of our "D" Litter!!! 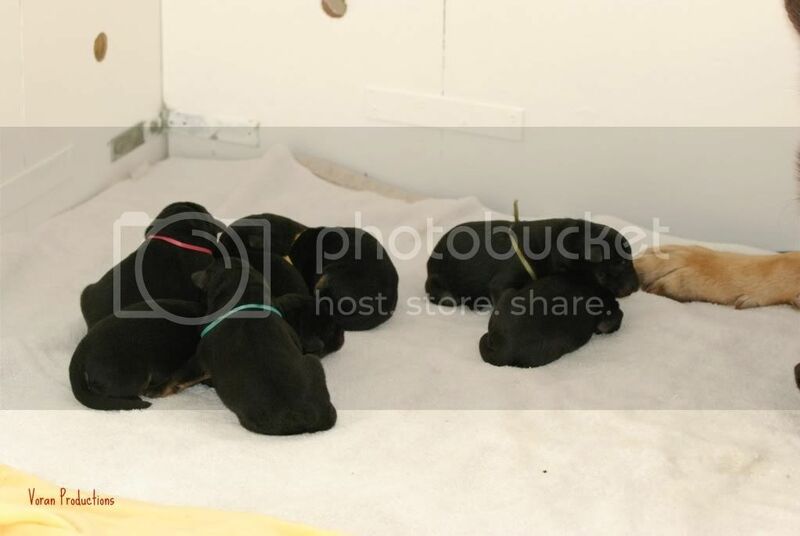 Born Tuesday February 15th via a planned C section 5 females and 3 males! 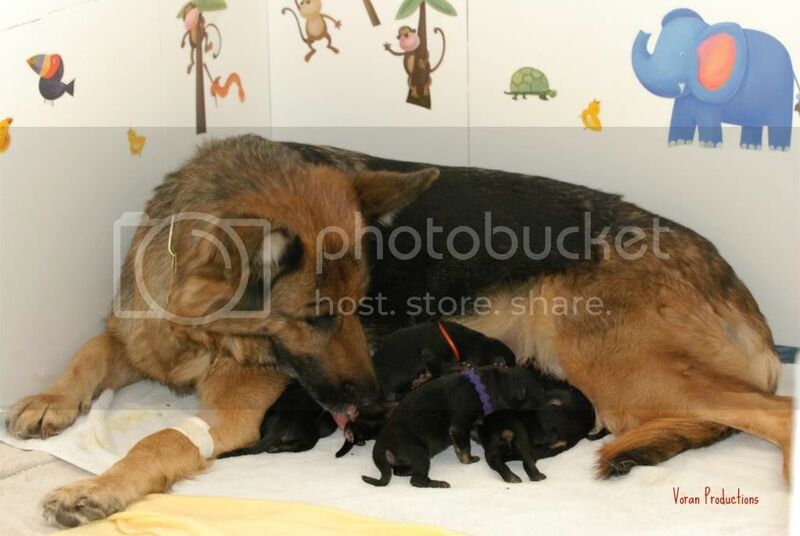 All puppies and Gipsi are doing fantastic! 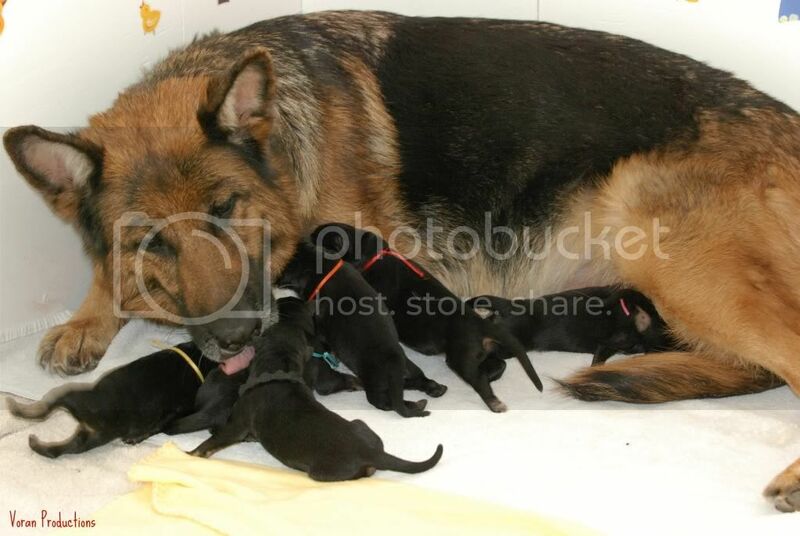 The pups are large, robust and quite healthy! Gipsi recovered quickly from surgery and was in full momma dog mode soon after. The males are named Darius, Dublin, and Druid. 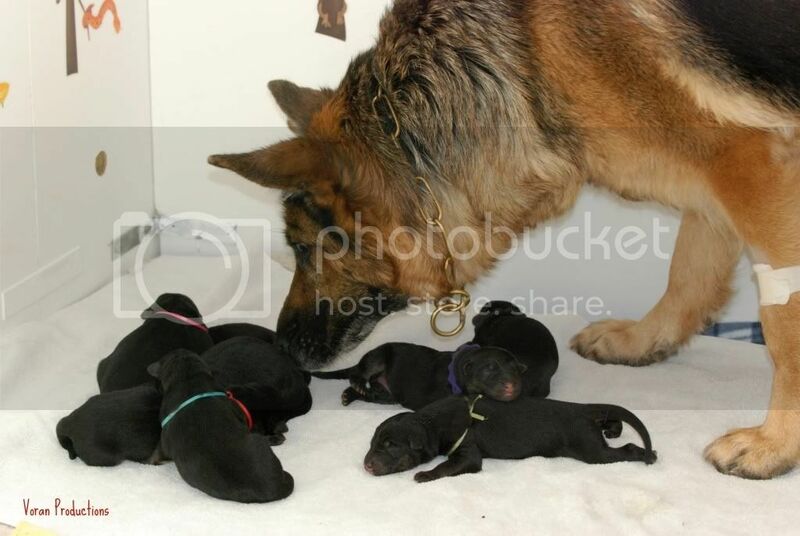 At this time, only one of the females has a name, Diva, after her maternal grandmother. I haven't narrowed down the long list of female D names as of yet. 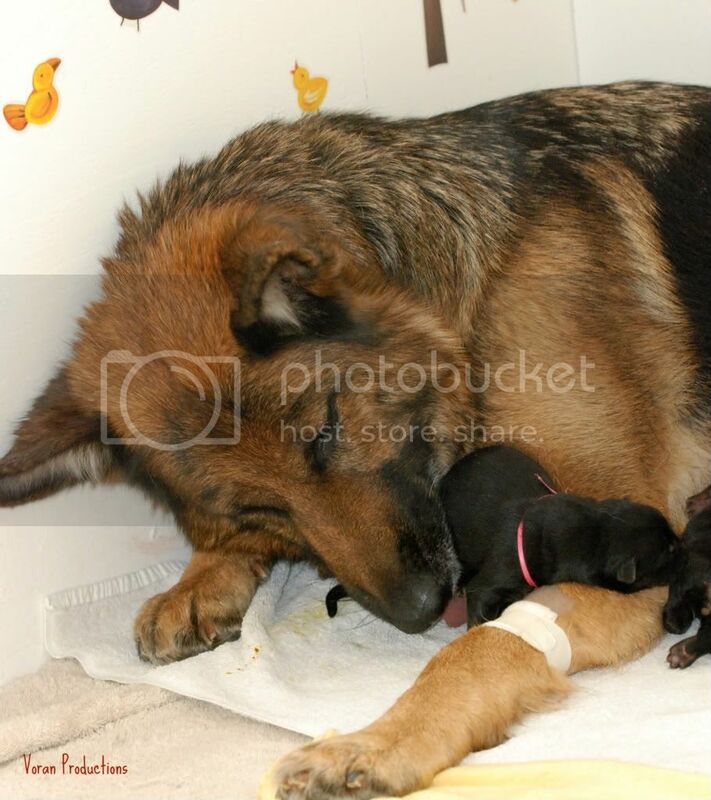 One of the males will be the newest member of the Plymouth NH Police Department. We are very excited about this, as this pup will be the second Gipsi puppy to go into law enforcement and the third puppy out of our breeding program. The puppy who will be named Diva, will remain at Haus Mansfield to carry on the family tradition of training and titling in Schutzhund. Hold on, there are two more! I will update this thread when we have more pictures. How sweet! Congratuations and I'm glad to hear mom is doing well. That caption on the last picture is just too funny! and oh my god the caption had me in tears!!! I have had a 17 h workday, just finished taking care of all my pets as of feeding, watering, cleaning etc.. Im totally exhausted.. and that weee just made my day.... OH MY GOD CUTENESS!!!! Wow, Mamma and babies are beautiful!! Congratulations!! 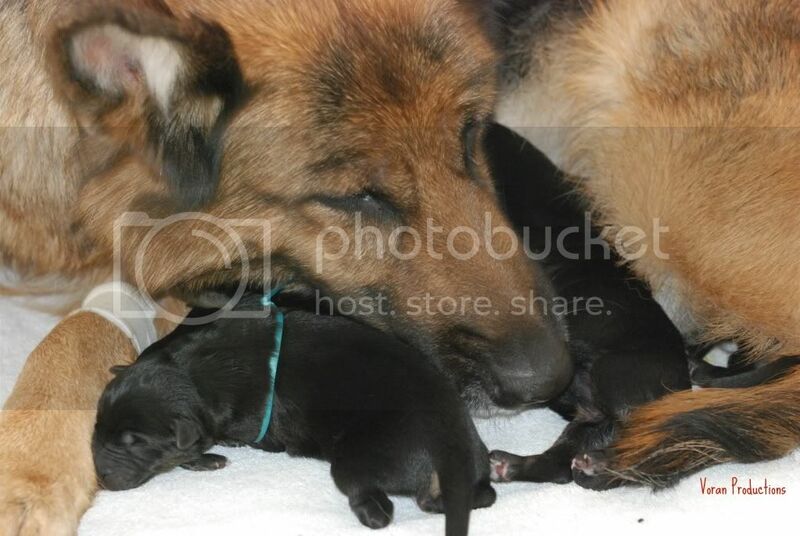 Congratulations on a safe delivery and very gorgeous puppies! 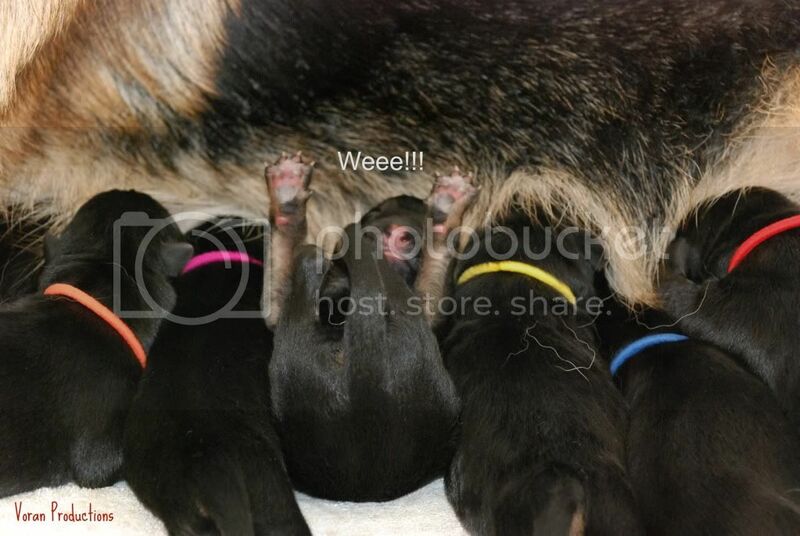 For puppies so young, this litter is a lot of fun!! I spent a total of 14 hours in the whelping box yesterday with them. At midnight, I was still enthralled with them and could barely tear myself away. I don't want to miss one single second of their development. Yesterday morning at 5:00am, after only a couple hours of sleep, I was awakened by Gipsi's panic bark. I was one room away from the whelping room and ran at lightning speed to the room. I find Gipsi standing at the gate, I figure Phew! she just has to go out. I move the gate to let her out, and she jumps into the box. I go over to the box and begin the count, 1,2,3,4,5,6,7,? WTH?? where is #8?? I scan the box, he isn't there!! 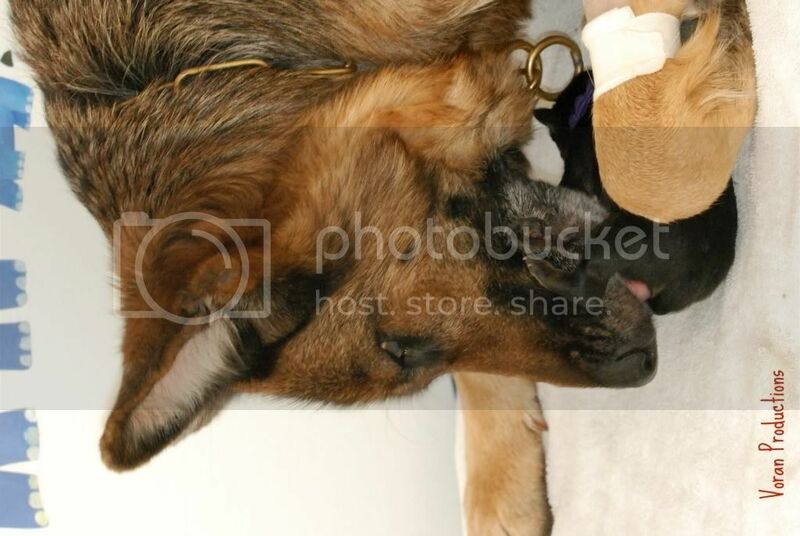 I knew there wasn't a problem with any of the puppies, so there is not a reason that Gipsi would have culled a puppy. OKAY NOBODY MOVE!!!! I look over to Gipsi who keeps looking up at me, and back down to the towel I have covering a heating pad. Suddenly, the towel moves! I pick the towel up, and there he is Olive Boy!! He is my problem child, aka "the wanderer" "the adventurer", I think he has traveled that whole 6x6 whelping box at least twice. He doesn't seem to be in search of a meal, just has the wander lust about him. 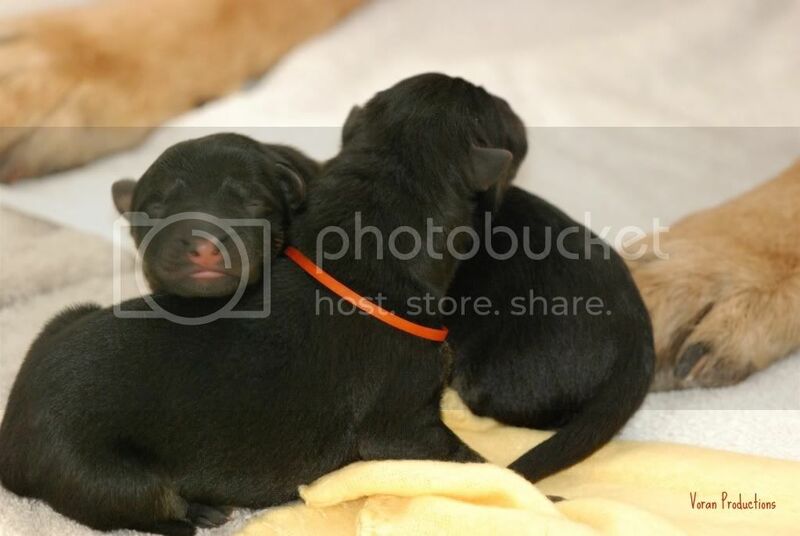 He is also the puppy in the last picture who was on his back with his feet in the air. I find all his antics now, amusing, I am sure in 4 weeks, I won't find him that amusing. As soon as he is done at the all you can eat buffet, he detaches and begins his roaming. Sometimes, Gipsi gives out a "come help me" bark so I can head him off and return him closer to her. Everyone is just thriving and gaining weight. There are a couple of pigs at the bar, that's for sure. I will try to get more pictures today, the room is very well lit with natural light due to all the windows and sky lights, I prefer that lighting better than artificial light. Hopefully, the clouds will go away, and I can snap some more.